Get familiar with the L.A. native’s distinct vernacular on his new album, Cold Devil. Role: A rapper from South Central and a pioneer of his very own vernacular. Character building is an important part of rap that doesn't get talked about enough. Rappers are storytellers and their stories have characters — the strength of their writing and their songs depends on how well they craft these characters. In Drakeo The Ruler's songs, he's the only character that really matters: the Maison Margiela-wearing protaganist, mud-walking into Neiman Marcus and flu-flamming through the streets of Los Angeles. 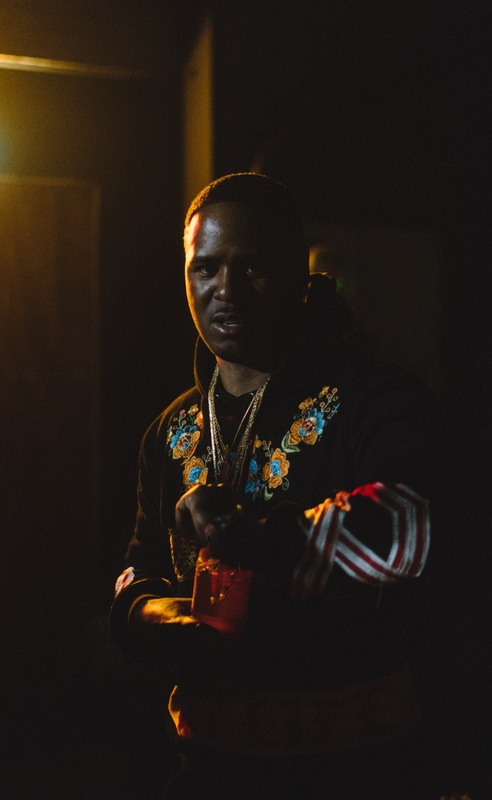 After spending most of 2017 behind bars, Drakeo returned at the end of December with his Cold Devil album, a 16-track project on which he builds entire songs around experimenting with language and dishing out game simultaneously. The immediate appeal of his subdued slappers is the world he creates with his animated vocabulary — taking cues from E-40, his often slurred words need their own glossary.